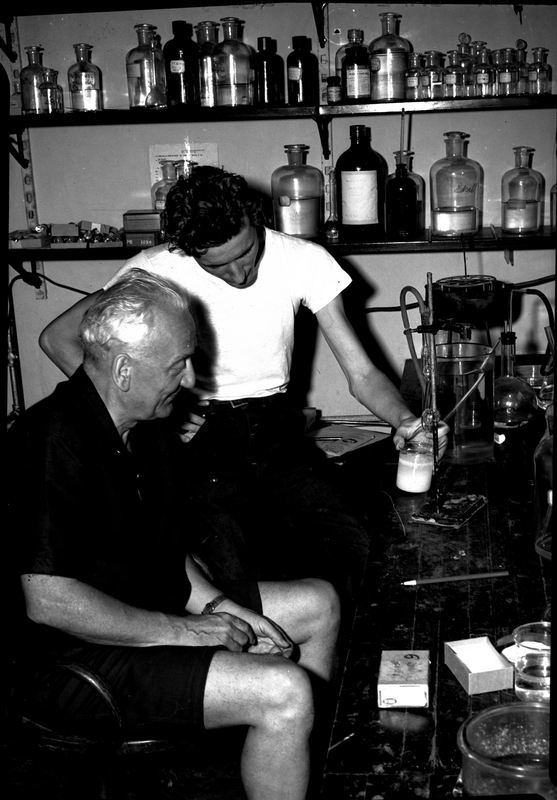 Black and white photo of two men sitting in a laboratory. 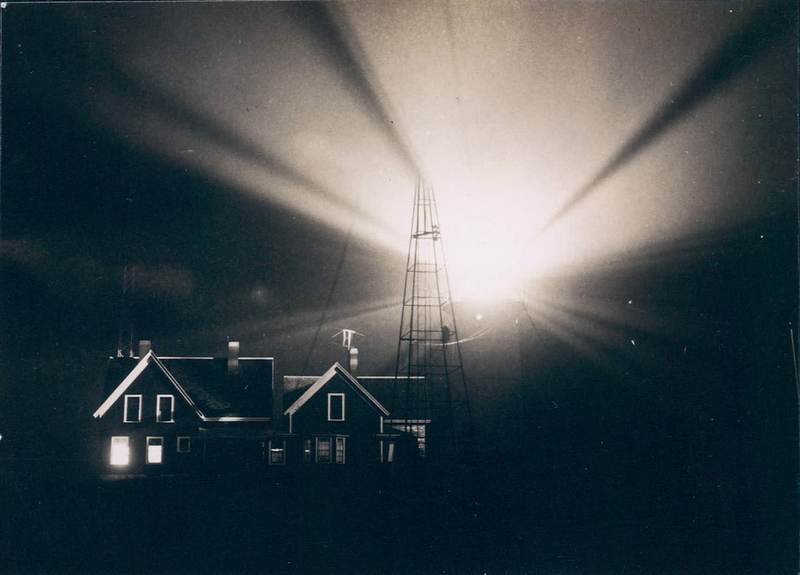 Black and whtie photo of two houses with a light house glowing behind them to help mitigate the fog. 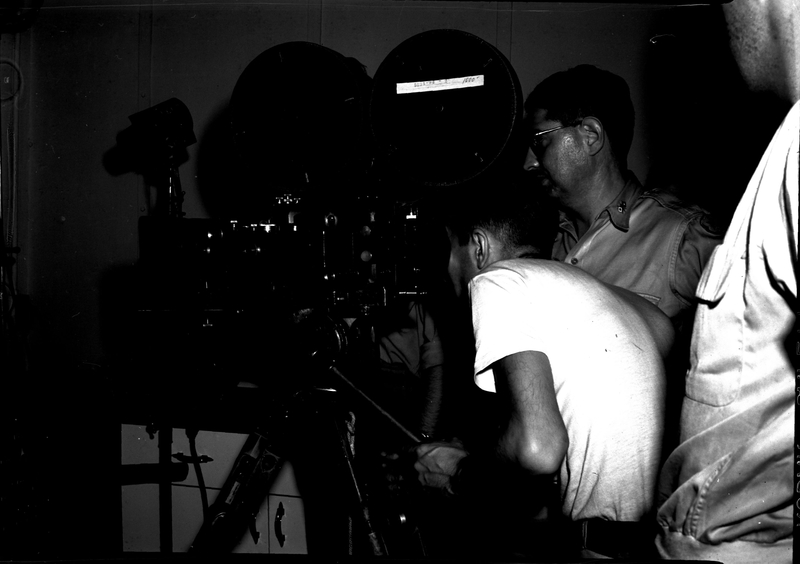 Black and white photo of and Army related film shoot. 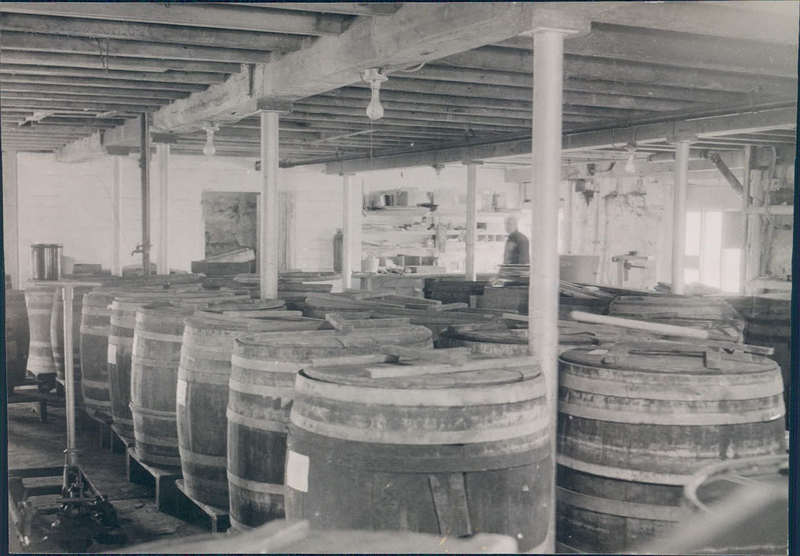 Five men are featured. 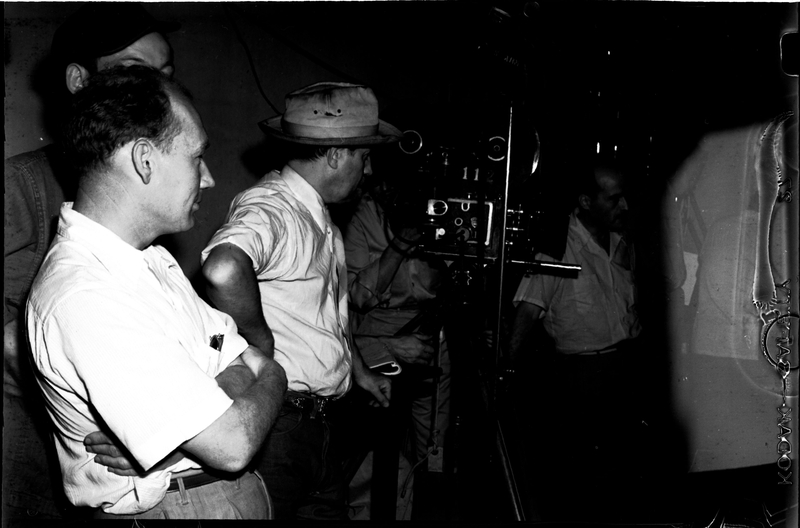 Black and white photo of and Army related film shoot. 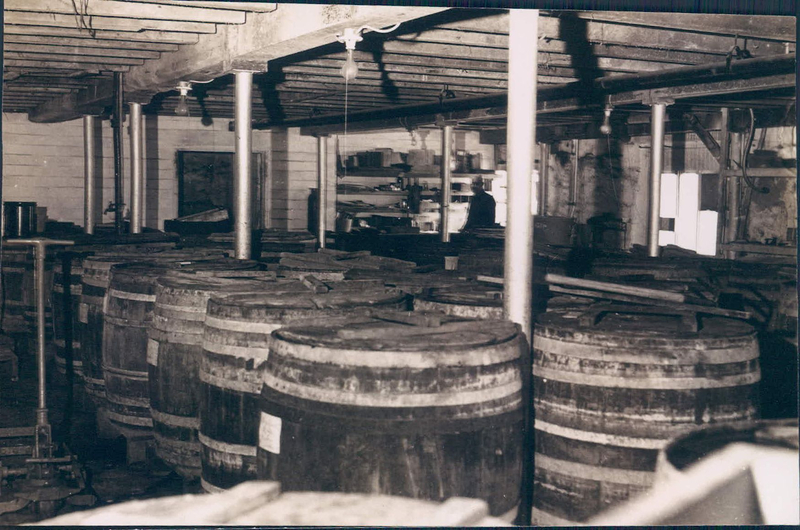 Six men are featured. 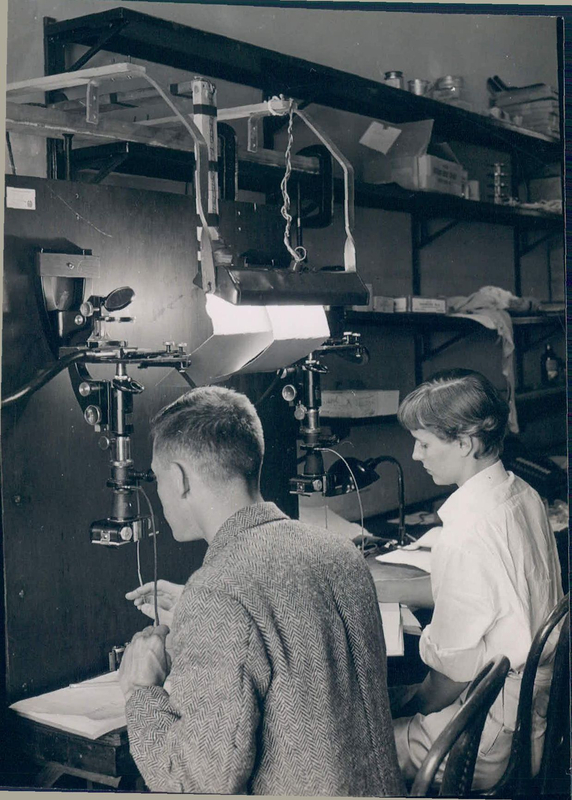 One is holding a specimen. 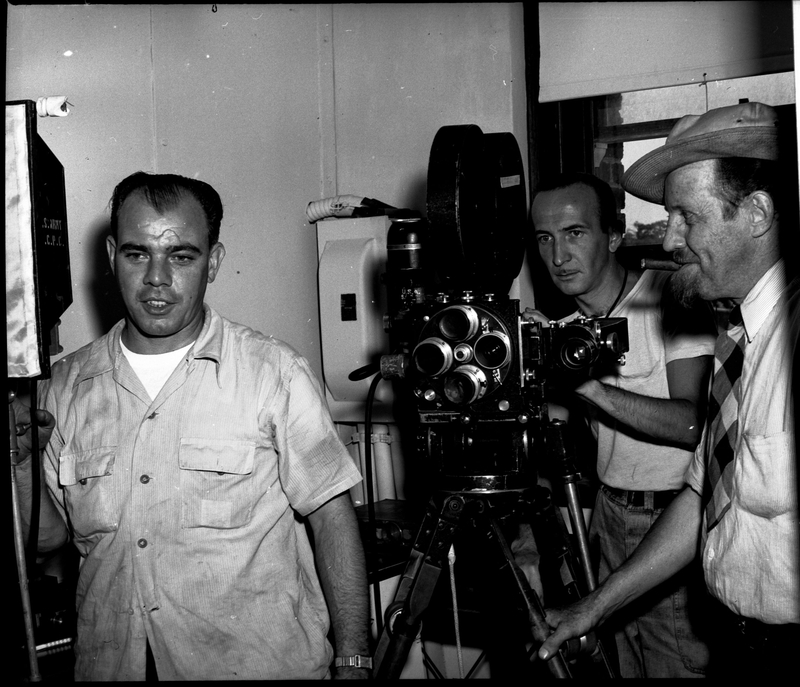 Black and white photo of three men with a camera filming. The are possibly from the Army. 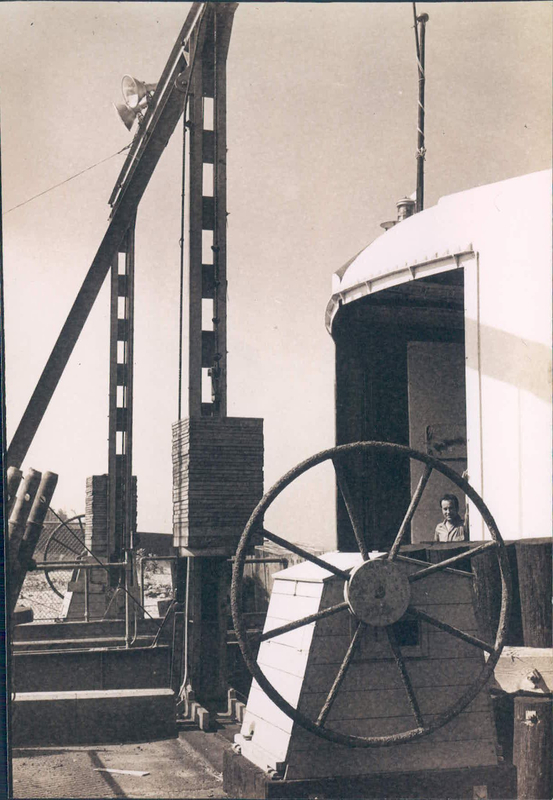 Black and white photo of a man standing on a ferry bridge. 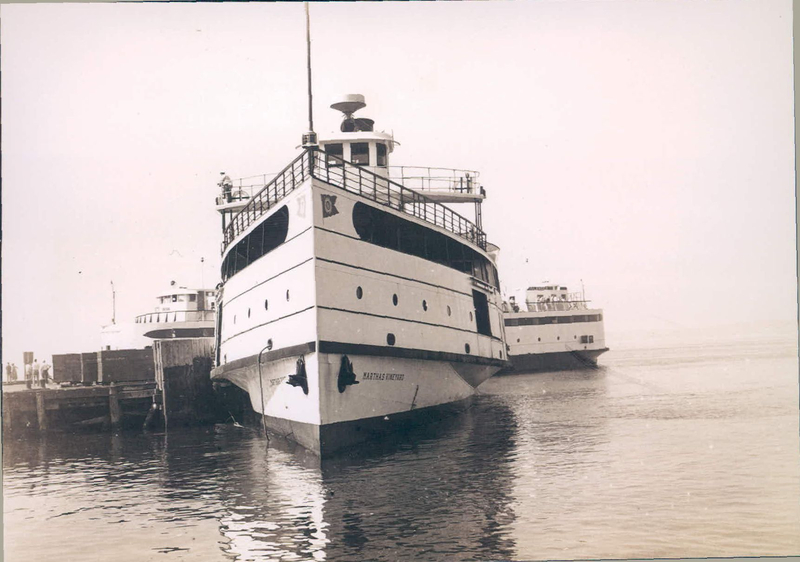 Black and white photo of a two ferries docked in the water. 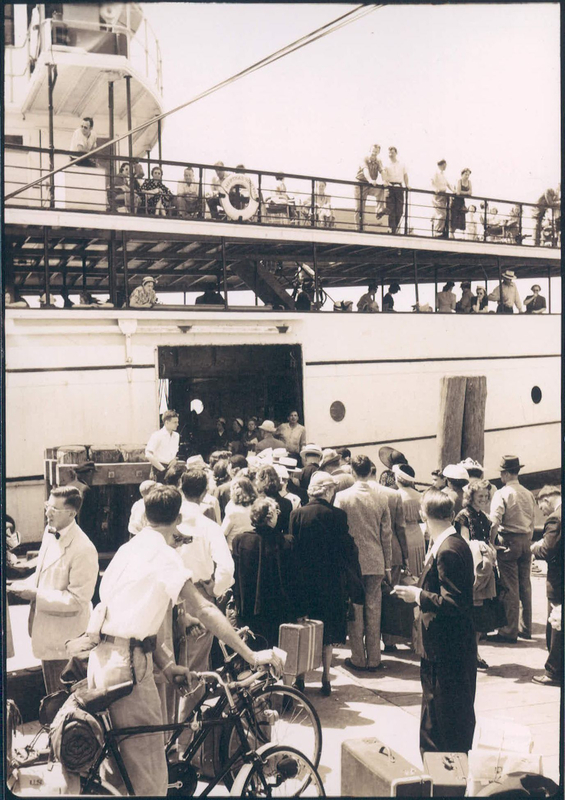 Black and white photo of people boarding a ferry. 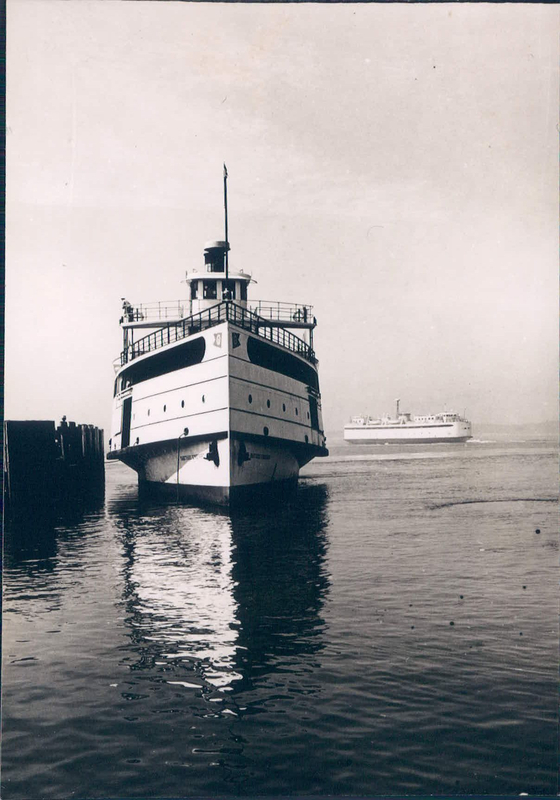 Black and white photo of a ferry in the water. 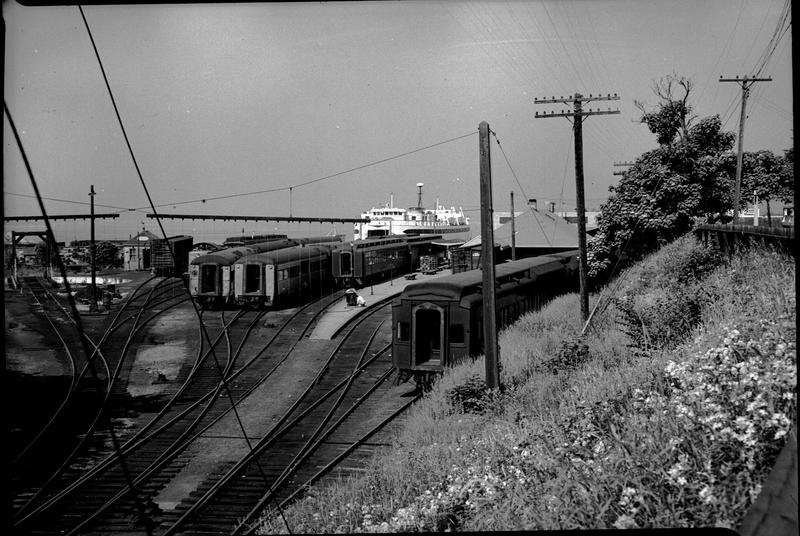 Black and white photo of a ferry next to a train station. 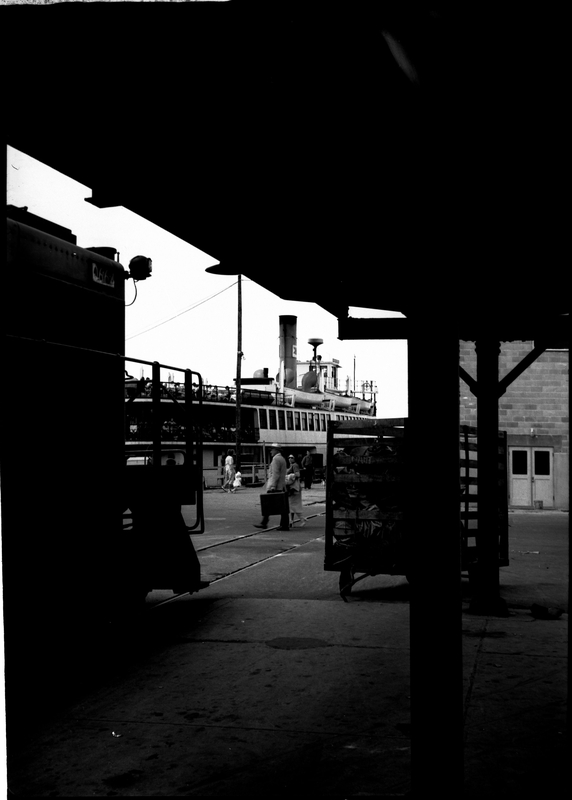 Black and white photo of a ferry docked at a train station. 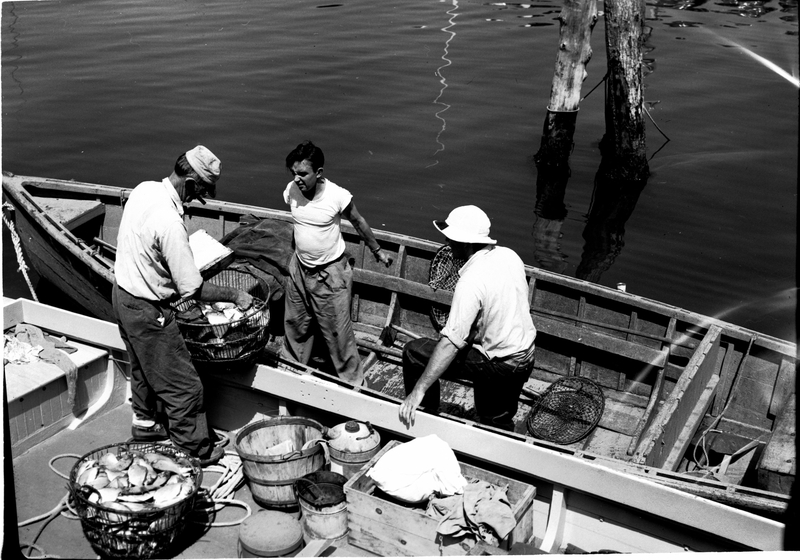 Black and white photo of three men on a fishing boat looking at a basket of fish. 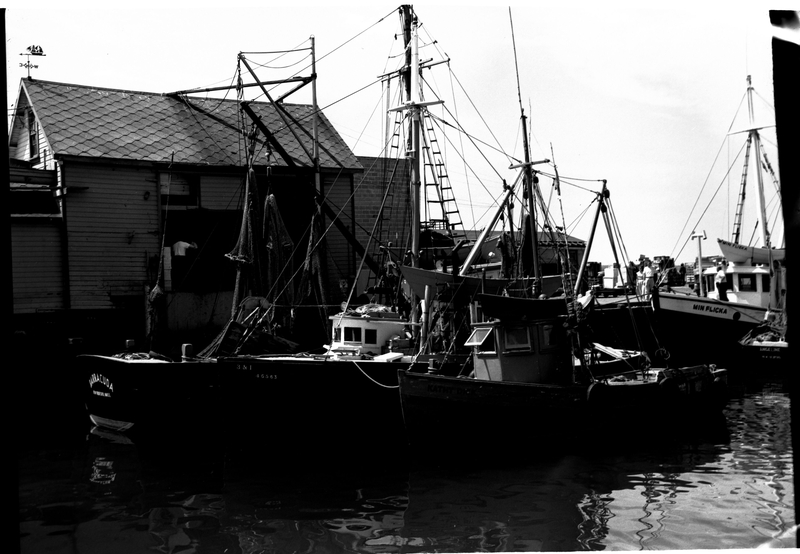 Black and white photo of four docked fishing boats. 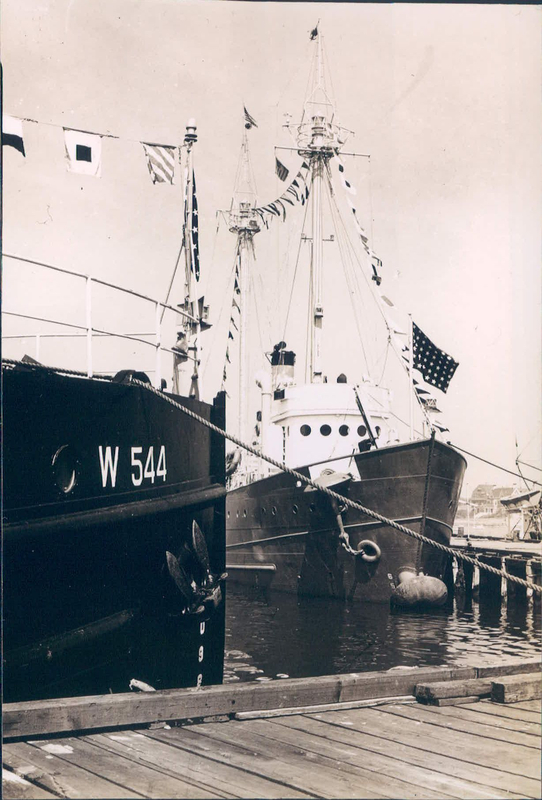 Black and white photo of two coastguard ships. 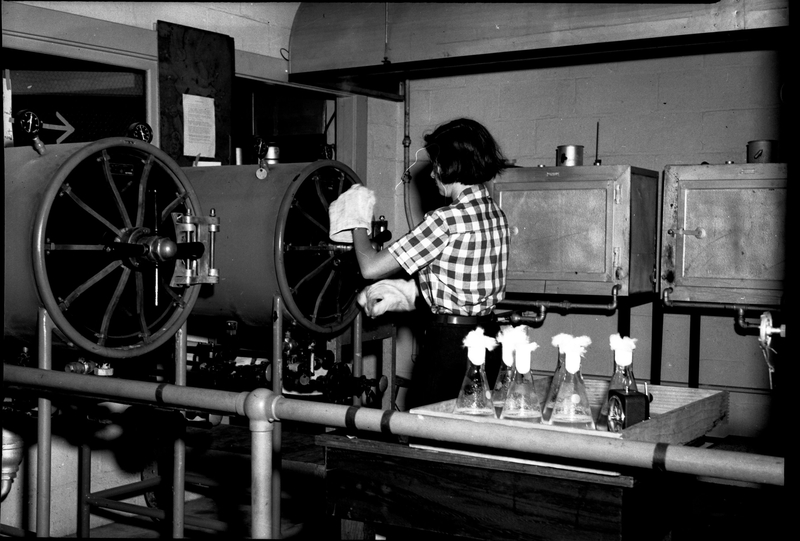 Black and white photo of a woman opening an autoclave. 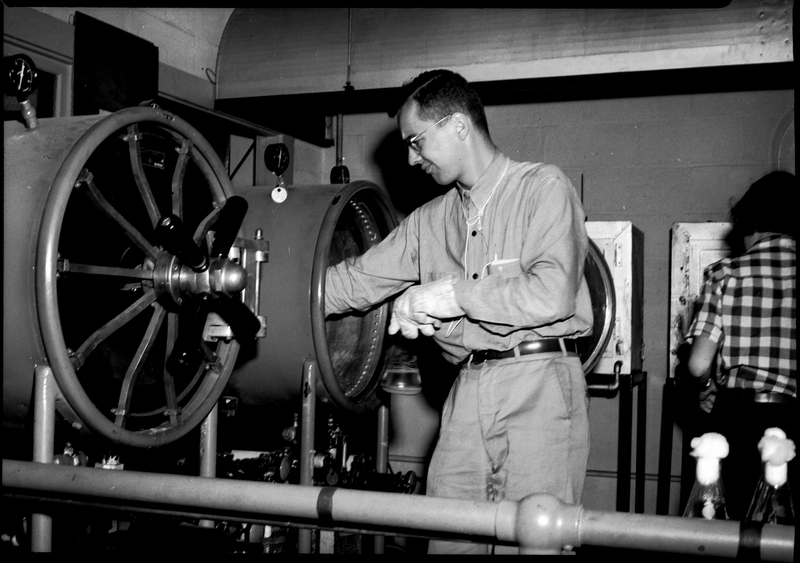 Black and white photo of a man and woman removing something from autoclaves. 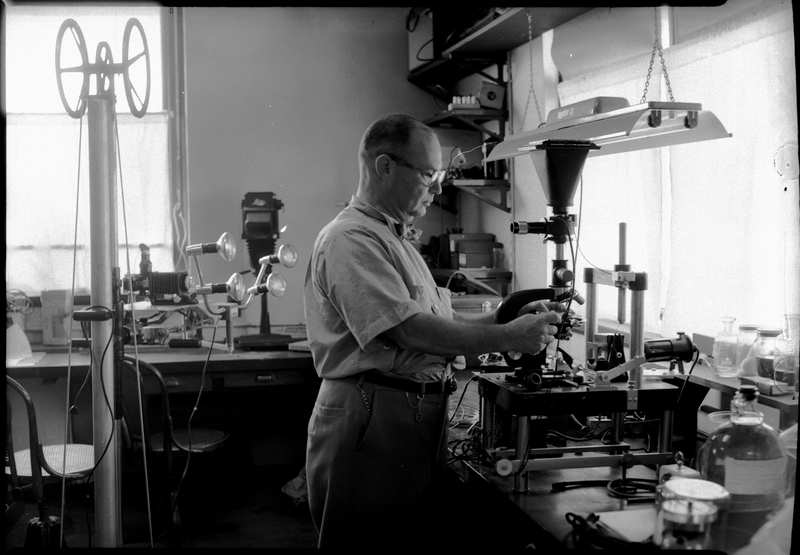 Black and white photo of a man operating a machine. 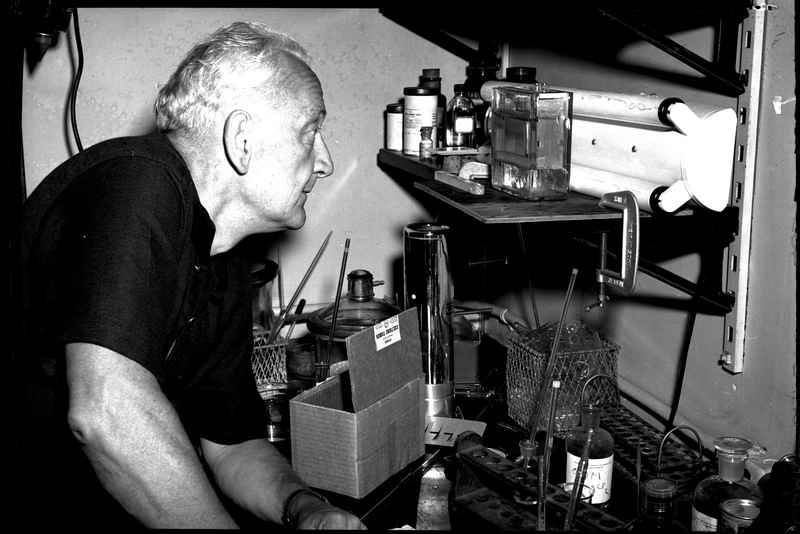 Black and white photo of a man working at a lab bench. 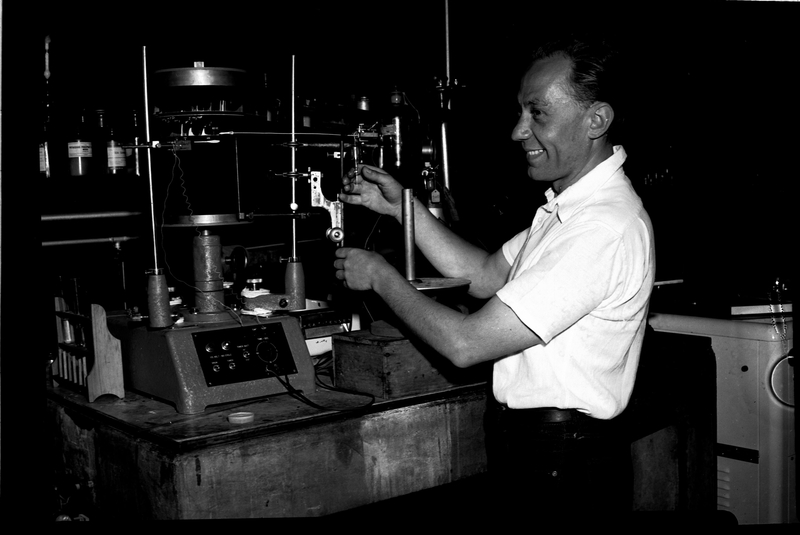 Black and white photo of a man in a laboratory . 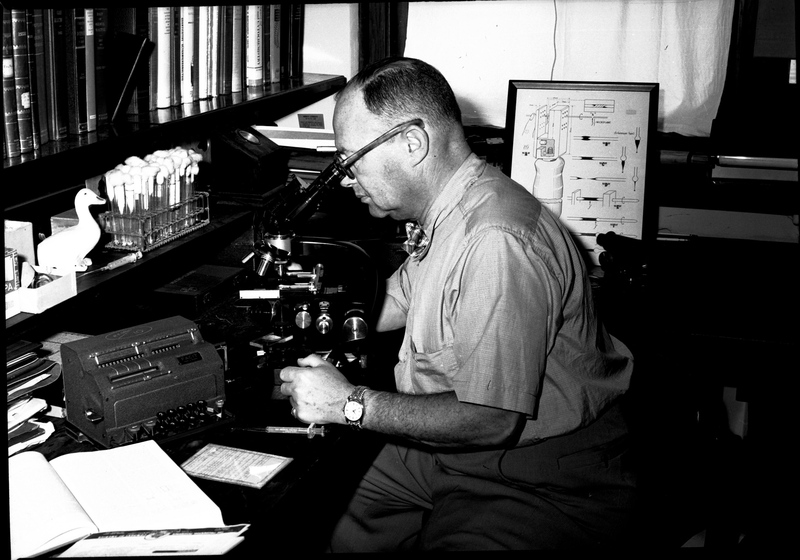 Black and white photo of a man looking through a microscope.